Do you ever do your own makeup, and just hate the way it turns out? I do, and I hate when it happens, so so much! 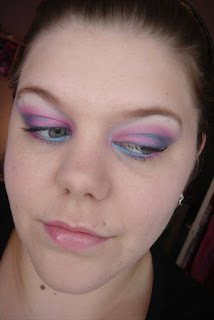 Today, I did a pink and blue look and recorded it to put on YT, But I decided it won't be put on there, as I am not keen on it whatsoever. I feel so disappointed when I do something that looks crap.. Maybe I am too harsh a judge on myself.. I dunno? !